Everyone has a LEGO story. I used to slap on a snorkel, build my LEGO boats and play in the bathtub for hours. I’m sure I wasn’t the only one. After all, LEGO is a billion dollar, global company. However, in the early 2000’s it was in trouble, haemorrhaging money. The company and brand extended itself beyond its means. Ventures into video games, amusement parks, clothes, board games, TV shows and movies left it out of touch with what made it famous…small interlocking bricks, with endless innovative possibilities. In the mid-2000’s a marketing / advertising man was inserted as CEO. Jorgen Vig Knudstorp turned LEGO’s yearly income from a loss to a notable profit. How? By going back to what made them famous. He and his team got rid of most of the items associated with brand extension including the amusement parks (although they still exist). Anything that was losing money, he stopped doing. And he started talking to the LEGO fanatics. Those who would custom build amazing structures using the interlocking bricks. He didn’t use focus groups or toss a few ideas around the board room. He went right to the source – the customers, and brought the LEGO brand back to the billion dollar company it currently is. Everyone has a story that has or could make them famous. Jorgen, and his team went back to the original LEGO story and are winning…BIG TIME. LEGO stores now have line-ups out the door, the LEGO movie was a HUGE hit, and LEGO blocks are selling by the millions. 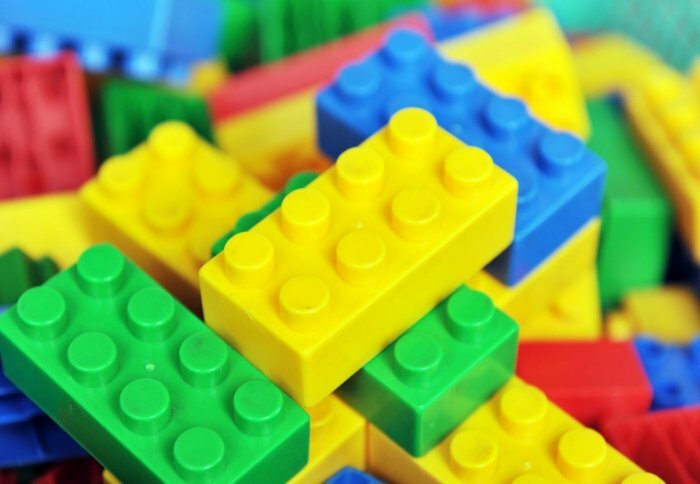 What can you learn from LEGO? What’s your story that made you famous? If you’re not famous yet, what’s your story? Why do you exist? I’m not talking about a mission statement or some other corporate BS. Why do you do what you do? Me – I’m trying to rid the world of useless advertising talking AT people instead of joining in on the conversation. That’s why I highlight brands like LEGO. They get it. In this over communicated world – people, and brands try to do too much. They believe being busy, and long work weeks are what you need to make money. Ask yourself this – what can you TAKE AWAY from your product or service to make it more efficient, and profitable? Maybe it’s the social media page you’ve had for two years, take time to update daily, and your likes and followers are going nowhere and not leading to money in your pocket. Maybe it’s the employee who you know is useless, but you string them along because you like them. Or maybe it’s the pasta on the menu that few people order, and bogs down your kitchen when it is ordered. It generally takes another set of eyes, and ears to figure out what can be SUBTRACTED from your business to make your business more desirable and profitable. Let me be the other set of eyes, and ears. Email me at effumarketing@gmail.com, and let’s add profits to your bottom line while subtracting useless, money losing lines in your budget.